In our last article about The History Of The Automobile, we told the story of how a young Henry Ford left his home on a Michigan farm to become a professional engineer and inventor, tinkering with gasoline-propelled vehicles and various methods of production until his ambitions were realized. His dream was to create an automobile that was durable, easy to maintain, and affordable to the average, working-class American. He is quoted as saying that he wanted to, "...build a car for the great multitude...so low in price that no man making a good salary will be unable to own one." A noble vision on Ford's part. However, the production of such an invention would require a significant amount of old-school trial and error. Ford conceived a series of automobiles, beginning with the Model A and ending in 1908 with the twentieth model intended for production. Ford named it the Model T, after the twentieth letter in the alphabet. Despite the lack of creativity in its naming process, Ford's newest invention would alter the course of American history by contributing to the growth of a strong middle class, driving an influx of immigrants and rural peoples to cities, influencing American culture, and revolutionizing industrial mass production. The first Model T rolled off the line at Ford Piquette Avenue Plant in Detroit on September 27th, 1908. Sold for $850, the humble-looking vehicle came in several body style options, with anywhere from 2 to 7 seats. Regardless of seating, however, the cabin was always mounted on a 100-inch wheelbase chassis, which made production more streamlined. Several colors were available, but the most common was black. Everything about the Model T was built for simplicity, efficiency, and ease of maintenance. The structural body was made of lightweight, high-strength vanadium alloy steel. It's gasoline-powered engine was comprised of 4 cylinders that were cast in a single block with a detachable cylinder-head for painless repair. Toting 20 horsepower, it's engine could propel the vehicle to modest but efficient speeds of 40-45 miles-per-hour. Originally, the Model T was started using a hand-crank. 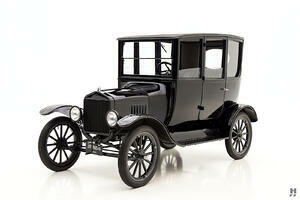 However, in 1920, Ford provided the more expensive option of a battery-powered starter. The Model T's transmission had three gears; two forward, one reverse. 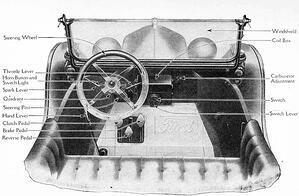 They were controlled by foot pedals, while the spark & throttle were operated using a hand-lever on the steering column. The 10-gallon gas tank was located under the driver's seat. Perhaps the most "unique" aspect of the vehicle's composition has become a piece of strange history that historians often like to have a laugh over. Since gasoline was fed to the engine via gravity, and because the reverse gear had more power than the forward gears, drivers frequently would have to go backwards up steep hills. The humor of such a situation, as well as the Model T's signature "rattle" at high speeds and bulky, humble appearance, made it the subject of parlor jokes, stories, and even folk songs. Pop culture lovingly nicknamed it "Tin Lizzie", again for its incessant, tin-like noise when speeding down the highway. With every passing year, Henry Ford would improve upon his production process, incorporating a fully-functioning assembly line in 1913. The improved efficiency dropped the price of the Model T to $550. All major manufacturers would follow Ford's lead and capitalize on the streamlined production process. They no longer marketed solely to the wealthy, which was telling of the working class and their growing buying power. However, there was a reason factory workers were starting to make more money. 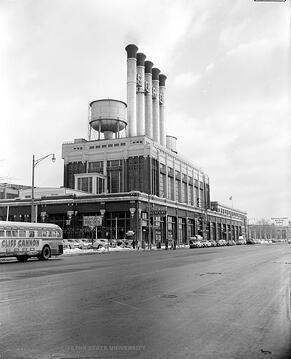 Work at Ford's factories was dangerous and increasingly fast-paced. In an effort to curb the high turnover from such a work environment, Ford raised workers' wages again and again. This attracted immigrants to America, as well as rural people to cities like Detroit, eventually contributing to the growth of the new "middle" class. Once a luxury, automobiles were beginning to become affordable to working-class people. The mobility of the emerging middle-class was improved, creating time for more leisure activities and providing people with the ability to travel and intermingle with other cultural pockets of the nation. The American population soon became so mobile that the U.S. Government made it a priority in 1920 to build new cross-country infrastructure and hurry the laying of paved, national highways. The 15 millionth--and last--Model T came off the line at Ford's factory plant in Highland Park, Michigan in the year 1927. 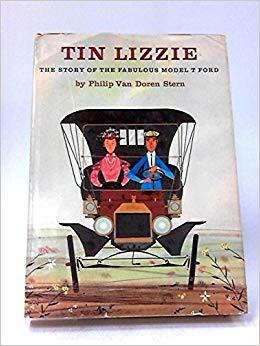 At this time, you could own a "Tin Lizzie" for the low price of $260, and much of America did. But the Model T was already out of date. Many of the vehicle's deficiencies, which passengers & drivers had simply accepted in lieu of the vehicle's low cost, were now simply annoying and cumbersome. This is not to mention the fact that other manufacturers had caught up to Ford in their mass production capabilities. After 1927, Chevrolet doubled the sales of the Ford Motor Company. But Henry Ford's legacy would not be forgotten, as no vehicle before or after has had such a momentous impact on the course of American history. As Ford said in his "eulogy" for the Model T, “It had stamina and power. It was the car that ran before there were good roads to run on. It broke down the barriers of distance in rural sections, brought people of these sections closer together and placed education within the reach of everyone.” If ever there was an American dream, it was realized by the Tin Lizzie and the power that it's creation gave to the working class. Stay tuned for next week's entry of "The History Of The Automobile"! We will talk about what came after the Model T & the rise of some of today's major auto manufacturers!